It has been very windy in the last days in Vienna and a lot of leaves have already fallen which means it’s high time for my seasonal favorites! 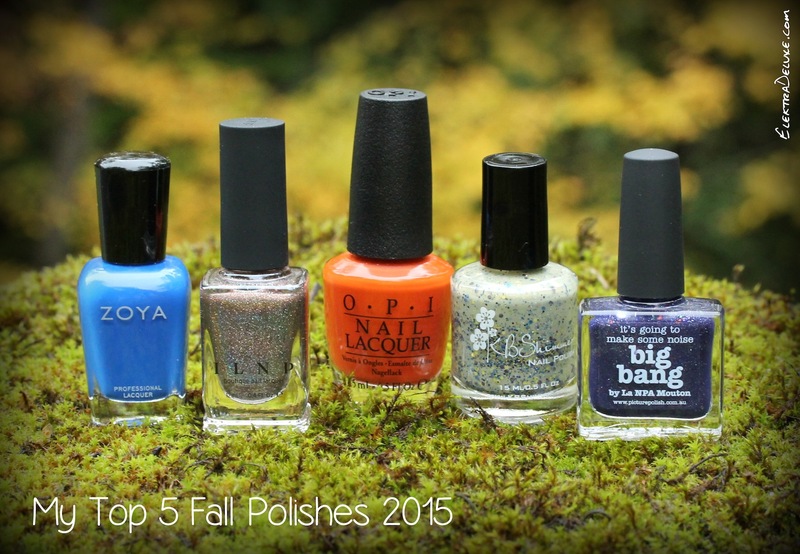 I picked these five polishes that represent fall so well: ILNP Mona Lisa, KBShimmer Open Toad Shoes, OPI It’s a Piazza Cake, Picture Polish Big Bang and Zoya Sia. ILNP Mona Lisa is a medium brown/taupe holo. 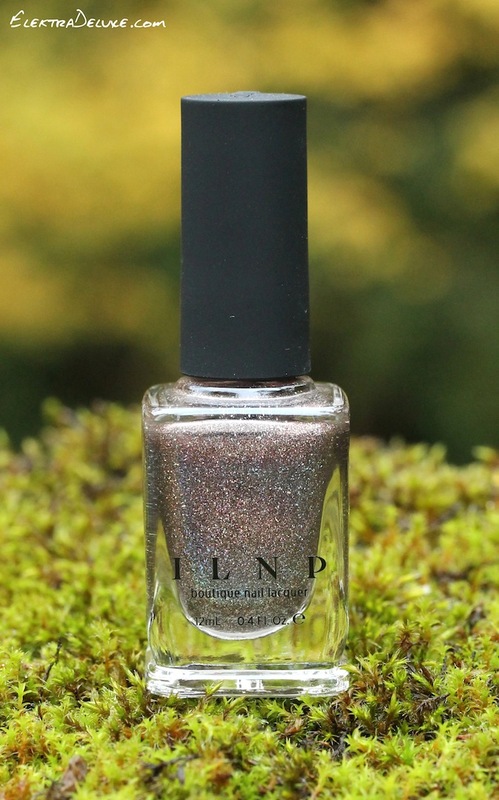 It belongs to the ILNP Ultra Holo line which is characterized by large holographic particles. I have fallen head over heels in love with this kind of finish. You can see the rainbow effect in every single light. The combination of this soft brown shade with the scattered holo particles makes for an incredibly chic and elegant polish! I applied 3 coats for the picture. KBShimmer Open Toad Shoes is an olive green glitter crelly with a mix of gold, purple and blue glitter. Wow, I love this weird color combination! If you’re into ugly-pretty shades, this is for you 🙂 I also like that the olive green is not too dark. I applied 3 thin coats, but I could have gotten away with 2 thicker coats. 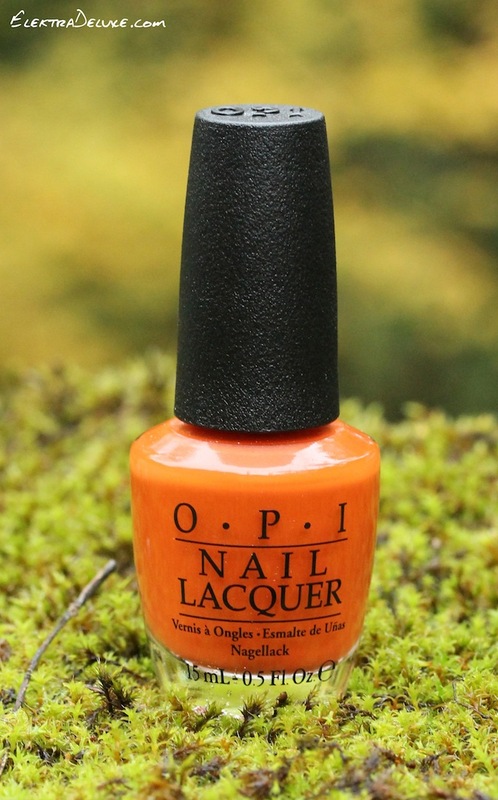 OPI It’s a Piazza Cake is a burnt orange creme and my favorite from the OPI Venice Collection. If you want your nails to blend in with the changing leaves, this polish is a good way to go 😉 It’s very similar to OPI Chop-Sticking to My Story which I adore as well! It’s a Piazza Cake has a little bit more red in it, while Chop-Sticking to My Story leans more brown. I applied 2 coats here. 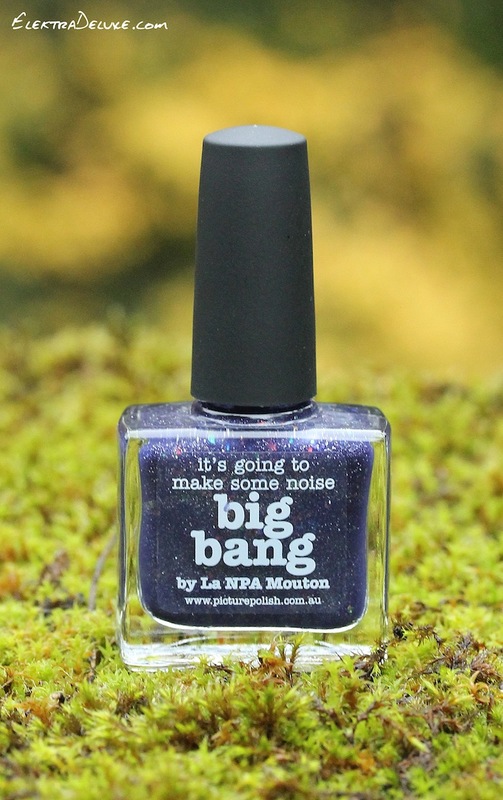 Picture Polish Big Bang is a dusty indigo scattered holo with multicolored flakies. The color reminds me of one of my favorite polishes from last fall: China Glaze History of the World. Apparently that’s the kind of shade I’m particularly drawn to in fall 🙂 Big Bang combines the best of everything: gorgeous dark color, holo particles and colorful flakies! It can’t get better than this! The polish covers perfectly in 2 coats. Zoya Sia is a royal blue cream and part of this year’s Focus Collection. For me, this kind of color is just like a bright red: classic and timeless. I could wear it all year round and would never feel out of season. You’re looking at 2 coats. Hope you’re having a lovely Sunday! What are your favorites this fall? In fact, I have a lot of polishes in my stash which I don’t like on my own nails 🙂 Cremes and glitters are the most flattering finishes for me. I guess we’re always very hard with ourselves 🙂 I’m sure the OPI would look great on you!